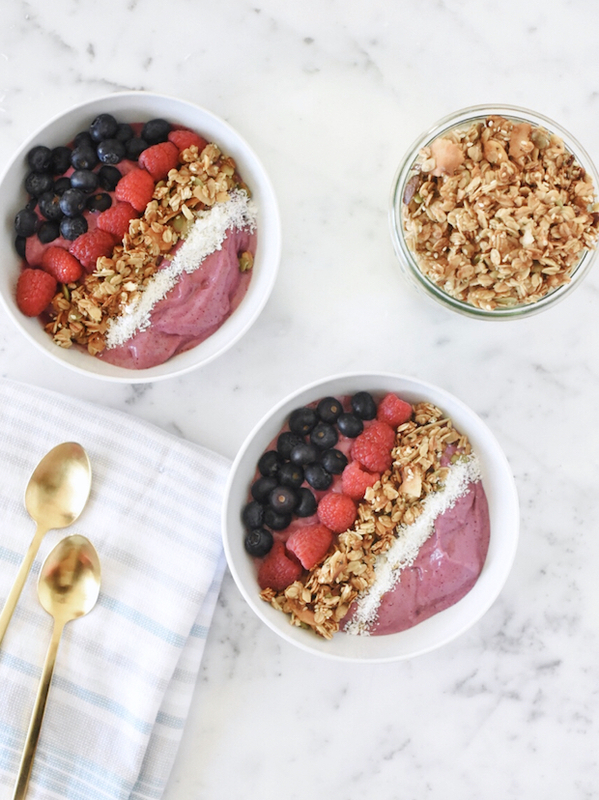 Scott and Lincoln arrived home the other day with acai bowls…for themselves..wahhh. I was totally craving one so…I had to make one myself! 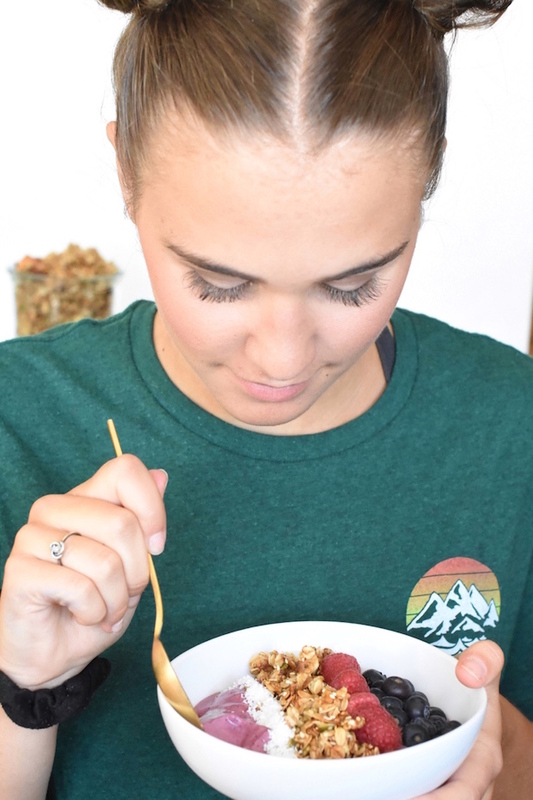 But before the acai bowl came together we didn’t have one of the main components on hand so I had to get messy in the kitchen. 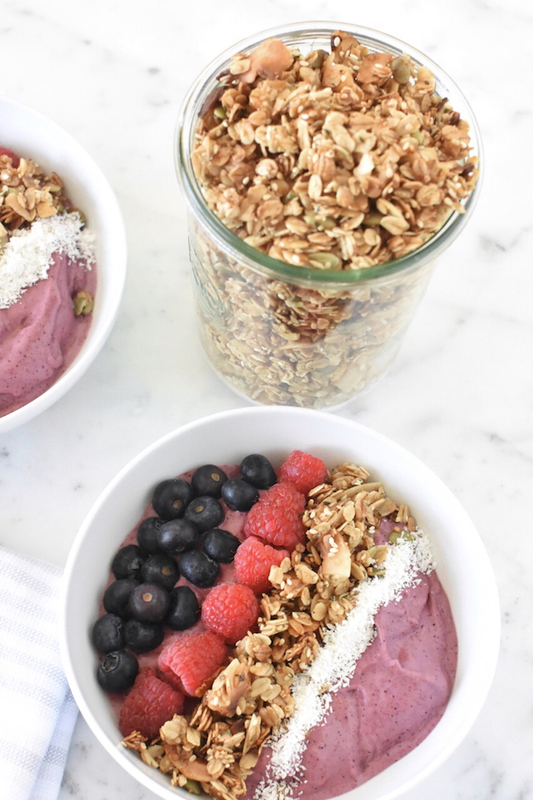 Granola…you can’t make a good smoothie bowl without it. This is my life. The domino effect. I start doing one thing and get completely sidetracked with something else. Case in point. 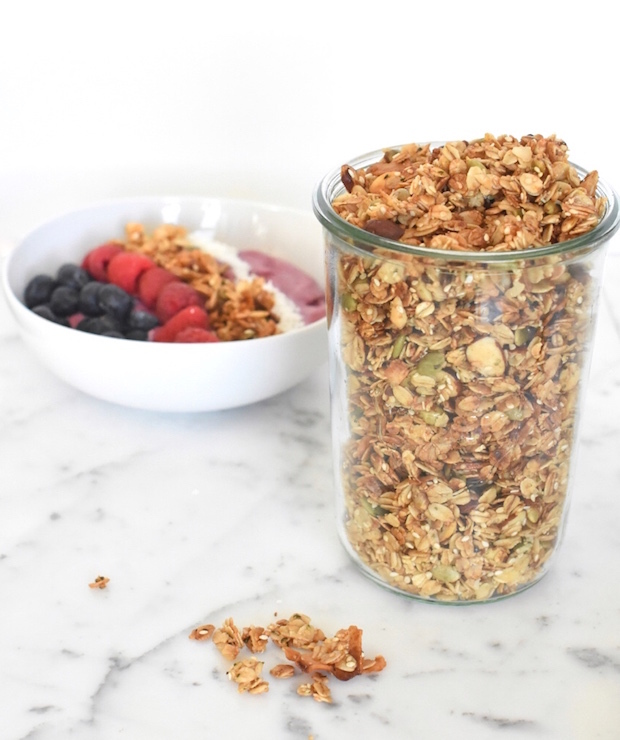 I decided to throw together some ingredients and come up with my own granola recipe. It was worth it though. It turned out really good. Good enough that Scott (who doesn’t traditionally eat anything breakfast related) has been helping me polish off the batch this week. 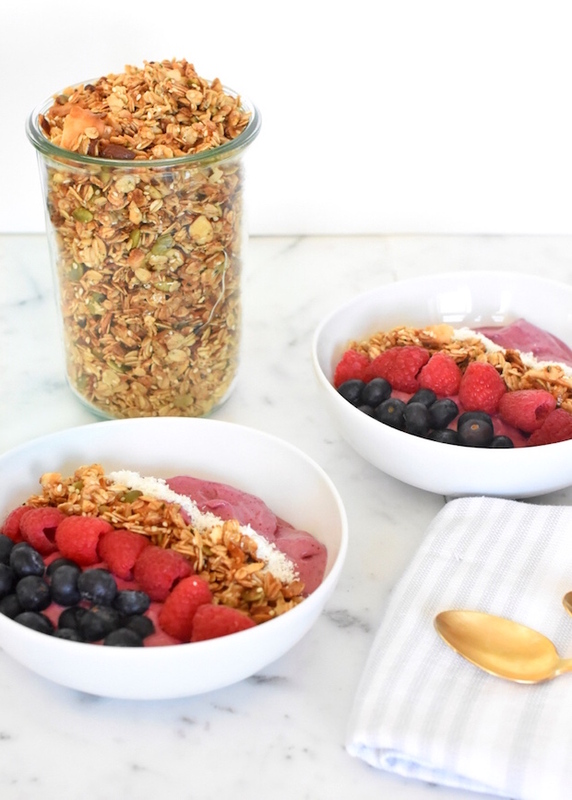 This recipe is gluten free (just make sure your oats are certified gluten free) and full of nuts and seeds. The honey adds a good dose of sweetness so feel free to play around with the amount. 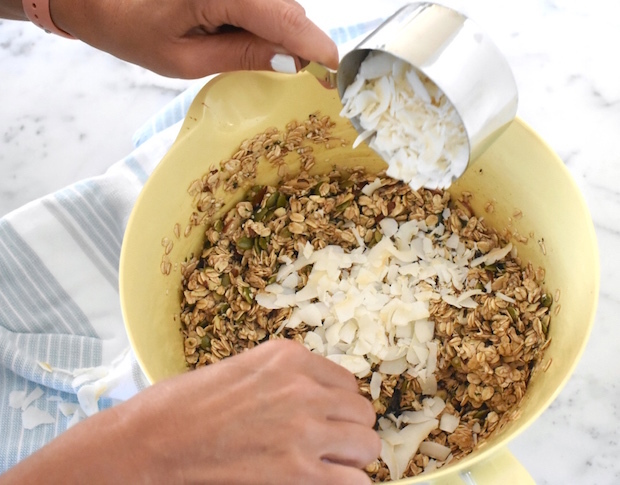 And…my secret to any homemade granola…I like to add a drizzle of honey overtop of the granola as soon as I take it out of the oven. 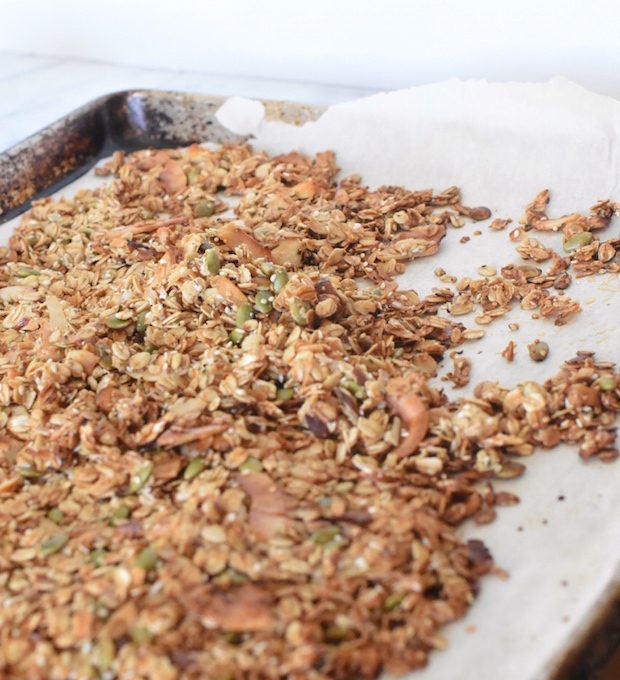 As it cools, it crisps up the granola to form little clusters! 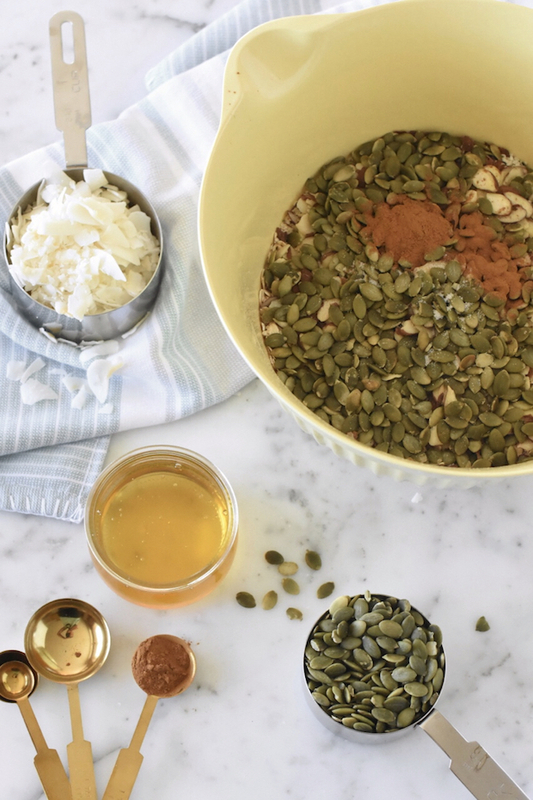 Stir together oats, almonds, hemp, sesame seeds, pumpkin seeds, cinnamon and salt. Stir together oil, honey and vanilla. Add liquid mixture to the oat mixture, making sure it's well mixed.. Spread evenly on pan lined with parchment paper. Bake at 350 for 15-20 minutes, stirring at 8 minutes. Be sure to watch that the granola is not burning. Each oven is different! Once the granola is out of the oven, I like to drizzle the top with honey...as it cools it will crisp up and create granola clusters.